Ada Harris was the youngest daughter of James Banfield Moore Harris, and had lived with the Musgrove and Harris families when they were together at Benwell Road in the early 1880's. Ada Harris married Alfred Edward Day on 23rd August at St Saviour's Church Herne Hill. 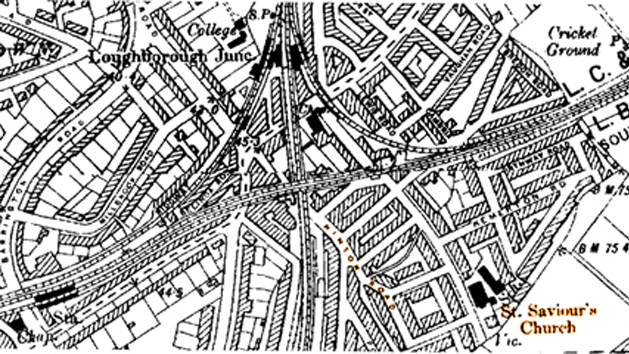 The certificate above shows the couple living at 57 Hinton Road, a short distance from the church (see map below). 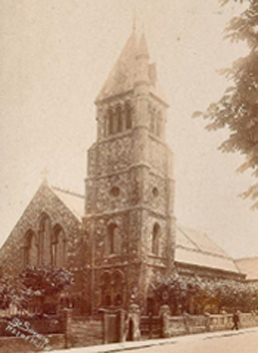 This Victorian church became redundant in later years and was eventually demolished in 1981 when the land was redeveloped. The 1891 census below was taken six months earlier in March and shows Ada Harris as an employee of The Union Club in Trafalgar Square. The job provided accommodation on the premises. Ada was employed as a fish maid and is listed with her friend Emily Smith who was a grill maid. Emily is shown as a witness on the above wedding certificate with Ada's brother in law George Musgrove.